BOAT return with a slab of vinyl and it’s just about the perfect thing to start your summer. It’s got songs, baseball cards and bubblegum, and I bet if you buy it from them at one of their shows they’ll autograph it too. When D. Crane sings I’ve got a wife, I’ve got a job, a record store that knows my name, I can’t help but love him. 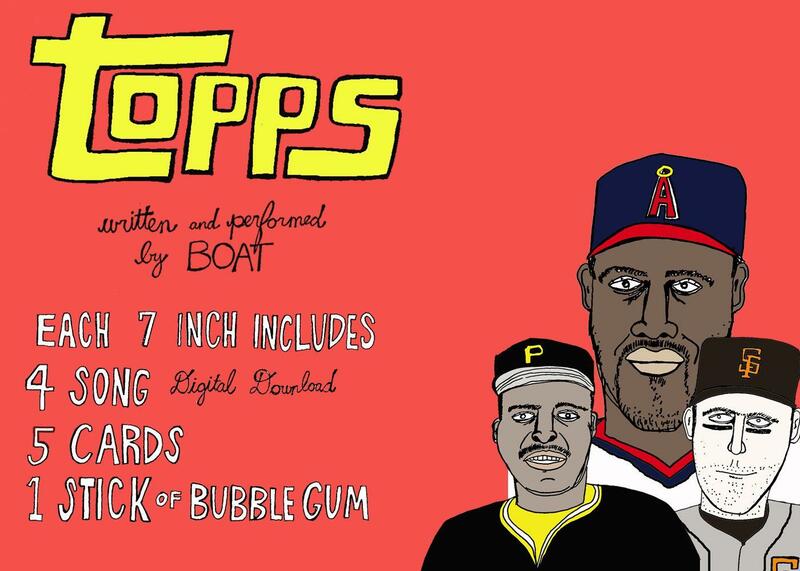 Plus the fact that BOAT are pop geeks that learned to read from Baseball Cards and Comic Books, well it just hits a little too close to home. Are they singing about me? No, they don’t even know me! This is the catchiest BOAT has ever sounded, starting off with echoey keyboard, and ahh-ahhs, and then comes the killer guitar hook that really clinches it. Easy, single of the week!